Since 2015 our shop has its own presence in Austria. So our Austrian customers now have their own access to our diverse wine portfolio. It goes without saying that together with our reliable logistics partners we deliver to Austria as fast and uncomplicated as usual. 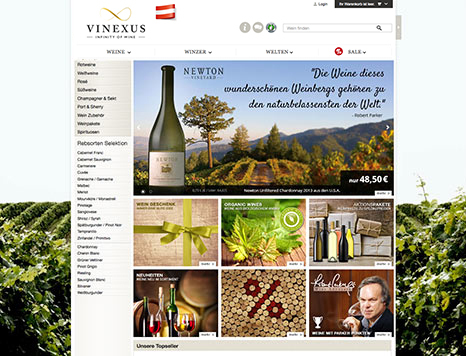 Make fantatstic wine disoveries & have fun browsing and shopping at www.vinexus.at!